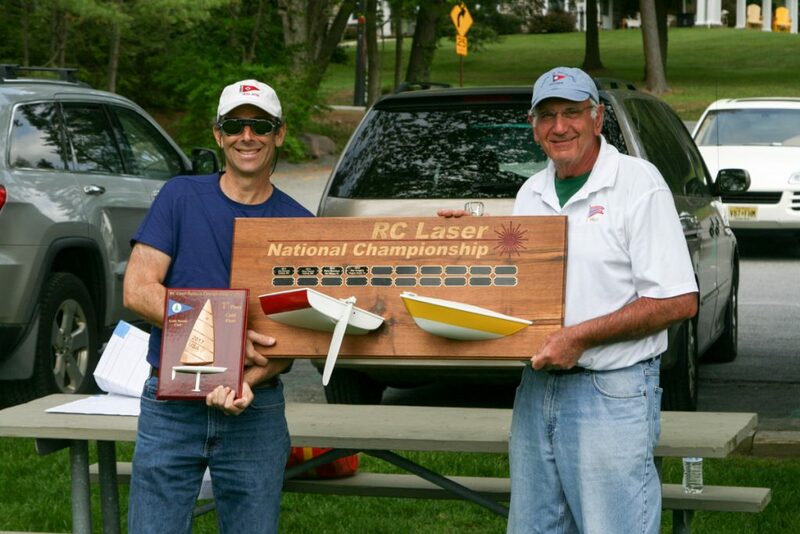 Jon Elmaleh, developer of the RC Laser and RC skipper since childhood, is the first repeat winner of the AMYA RC Laser National Championship Regatta. We were fortunate to have all of the past champions (Jon, Dave Brawner (2nd) and Jim Kaighin (3rd)) at the 2017 NCR at Lake Naomi and had spirited competition between them and the rest of the top skippers in the RC Laser Class. This year’s regatta was sailed at Lake Naomi, one of the lakes within the Lake Naomi Club community in Pocono Pines, PA. The lake has a long tradition of hosting regattas. It is located on the Pocono Plateau and hence is blessed with better than average winds. The regatta was hosted by RC Laser Fleet #9 and its Captain, John Whipple, and, of course, the Lake Naomi Club and the LNC Sailing Association. The Club provided its usual great hospitality. While the Fleet normally sails at the AO Marina which has relatively little boat traffic during the summer season; it was decided to host the regatta at the Club Beach Marina since it is better exposed to the prevailing winds and would have little other boat traffic in the preseason. The venue has two sizable jetties and one floating dock and we borrowed a second floating dock for the other jetty to provide flexibility in launching and retrieving boats. Overall, the venue was spectacular with great views, a wide expanse of water, close by parking, dry launching, etc. For the Friday boat inspection, picking up badges, and practice sailing, we did indeed have bright weather with nice prevailing ‘B’ sail winds. That evening we had dinner at LNC’s Timber Trails Clubhouse/Sports Bar which the Club opened a week early for us (since it has a seasonal operation schedule). It was great meeting old friends again as well as the newcomers. On Saturday, the wind, being perverse, had switched 180 degrees and was coming out of the ENE at a moderate pace. The day was on the dreary side as well. The Race Committee, headed by Ken Shaw, was able to set a nice long, two lap race course, despite the wind direction — it was coming around a point to our East. Due to the dreary weather, the club invited us inside to the grill room to have our box lunches. We got the preliminary seeding races completed and began the Gold/Silver competition in the early afternoon. That evening we had a delicious buffet at the Clubhouse (next to the sailing venue). Sunday dawned a nice sunny day with a decent breeze out of the SSE which one might think would have been poor for this venue. However, the wind, once over the tall white pines, had a nice sweep over the Club Beach and the large swimming area before getting to the sailing area. Again Ken and Skip Hall, our primary Race Committee were able to set a great two lap race course that worked out well, despite some swirly wind conditions. It was a ‘B’ sail day. Rounding out the competition awards for the Gold Fleet was Jamey Betz in fourth place. The finishing place awards for the Silver Fleet were Walter House, Silver Fleet Champion, Cape May Ray (Szulczewski) in second place, and Don Hain in third. The complete list is below. Special awards included the Ancient Marriner, Harry Mote, and the Furthest Away Sailor, Roger Baldwin from Utah. Many thanks to our Class Secretary, Nick Mortgu, who has a formula, with Jim Flack’s assistance, that makes organizing the NCR relatively easy. Also to the rest of Fleet #9 for their assistance, especially Rich Daggett for helping to arrange everything, and Fran Whipple for doing the scoring, and Sue Neely (who normally sails with us) for taking down the finishing order. Also, as mentioned above, the volunteer Race Committee, Ken Shaw and Skip Hall for all of their hard work on making good courses. 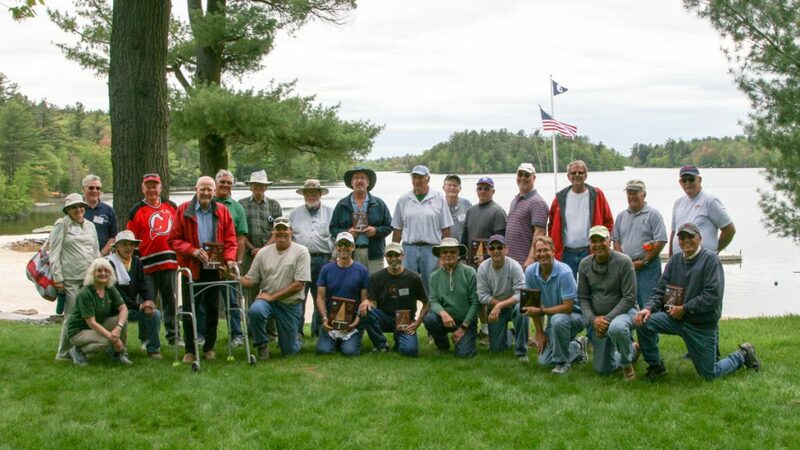 Finally, many thanks to the management and staff of the Lake Naomi Club who helped make this such an enjoyable event.